Rent villas and apartments in Saint-Tropez, the South of France with private pools. Book affordable holiday rentals that are near a beach and golf course. This 1 bedroom apartment is located in Saint-Tropez and sleeps 4 people. It has WiFi, air conditioning and a garden. The apartment is within walking distance of a beach. This 1 bedroom apartment with swimming pool is located in Saint-Tropez and sleeps 2 people. It has WiFi, air conditioning and parking nearby. The apartment is within walking distance of a beach. This 1 bedroom apartment with swimming pool is located in Saint-Tropez and sleeps 4 people. It has WiFi, air conditioning and parking nearby. The apartment is near a beach. 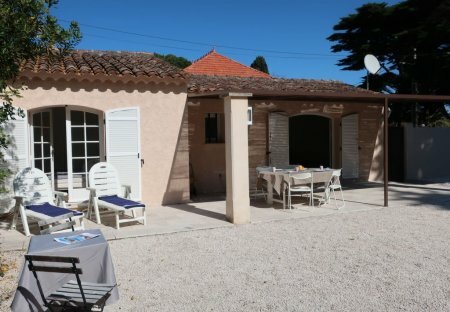 This 1 bedroom apartment is located in Saint-Tropez and sleeps 4 people. It has WiFi and air conditioning. The apartment is within walking distance of a beach. 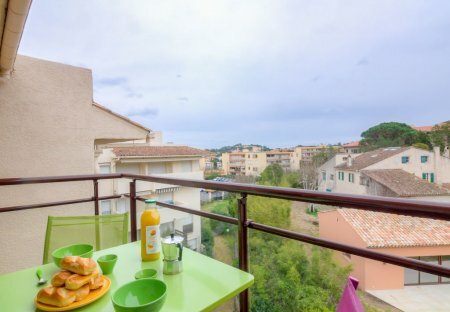 This 1 bedroom apartment is located in Saint-Tropez and sleeps 4 people. It has WiFi and air conditioning. The apartment is near a beach. This 2 bedroom apartment with swimming pool is located in Saint-Tropez and sleeps 4 people. It has WiFi, parking nearby and a gym. The apartment is near a beach. This 1 bedroom apartment with swimming pool is located in Saint-Tropez and sleeps 4 people. It has WiFi, air conditioning and parking nearby. The apartment is within walking distance of a beach. This 1 bedroom apartment is located in Saint-Tropez and sleeps 2 people. It has WiFi, parking nearby and a gym. The apartment is within walking distance of a beach. This 1 bedroom apartment with swimming pool is located in Saint-Tropez and sleeps 4 people. It has WiFi, a garden and parking nearby. The apartment is within walking distance of a beach. This 1 bedroom apartment with swimming pool is located in Saint-Tropez and sleeps 3 people. It has WiFi, garage and parking nearby. The apartment is within walking distance of a beach. This 1 bedroom apartment with swimming pool is located in Saint-Tropez and sleeps 2 people. It has WiFi, parking nearby and a gym. The apartment is near a beach. This 1 bedroom apartment is located in Saint-Tropez and sleeps 2 people. The apartment is within walking distance of a beach. This 1 bedroom apartment is located in Saint-Tropez and sleeps 2 people. It has WiFi, garage and parking nearby. The apartment is within walking distance of a beach. This 1 bedroom apartment is located in Saint-Tropez and sleeps 2 people. It has parking nearby, a gym and a spa. The apartment is within walking distance of a beach. Located in the heart of the old town, this charming duplex apartment overlooks the old port of Saint-Tropez and is situated above a wonderful restaurant and 20m from a pebble beach. In an enviable location in the sought-after neighbourhood of Capon in glamorous Saint-Tropez, this villa exudes charm, style and elegance in an absolutely beautiful setting. Saint-Tropez, is one of the stars of the Côte d’Azur, hugely prestigious and famous. This apartment located in its heart, is practical and compact, well equipped and air conditioned.